From 5th to 7th January 2015, the 47th Annual Conference of the Universities’ Transport Study Group (UTSG) was hosted by the City Collaborative Transport Hub. From 5th to 7th January 2015, the 47th Annual Conference of the Universities' Transport Study Group (UTSG) was hosted by the City Collaborative Transport Hub. The conference sessions were held in and around the Oliver Thompson Lecture Theatre. Initiated by the late Professor R.J. Smeed at University College London in 1967, the UTSG Conference is aimed at promoting transport teaching and research and acts as a focus for those involved in these activities within institutions of higher education in the UK and Ireland. 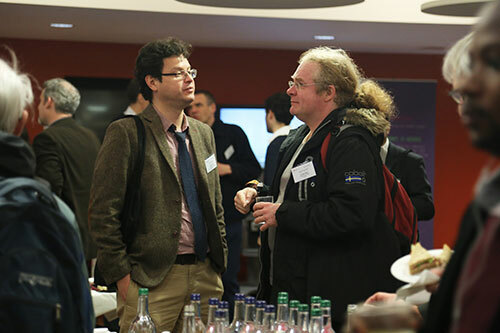 The 2015 conference featured 70 papers and 102 attendees, addressing a wide range of diverse topics of transport research from institutions across the UK. 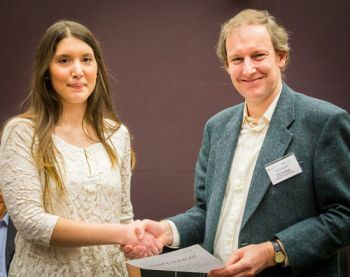 This year, the annual Smeed Prize for the best student paper and presentation was awarded to Marianna Imprialou from Loughborough University. Yok Hoe Yap from the University of Southampton was the runner-up. 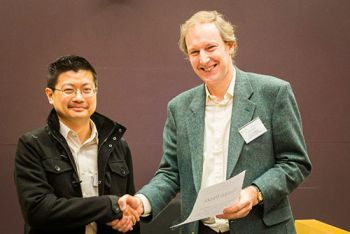 Prizes were presented by UTSG Chair, Professor John Nelson from the University of Aberdeen. The conference, which was formally opened by Pro Vice-Chancellor Professor John Fothergill on 5th January, began with a keynote speech from Sir Peter Hendy, Commissioner of Transport for London (TfL). Philip Rutnam, Permanent Secretary of the Department of Transport (DfT) addressed participants on 7th January. "It was great to see the heart of UK transport research beating at City during these three days. Hosting this prestigious gathering here after a break of 37 years has marked a milestone in our reinvigoration of transport studies and we were very pleased to hear nothing but praise from all these leading academic and researcher delegates about the organisation, the content and the speakers. The unprecedented success of this conference has confirmed our reputation and reinforced our position as a key player on the UK transport scene." Research Associate in the giCentre, Dr Roger Beecham (UTSG postgraduate researchers' representative and winner of the 2013 Smeed Prize) was a member of the 2015 Smeed Prize judging panel. Paper presentations were made by Visiting Professor of Engineering, Professor Ali Hessami; Engineering PhD students Mohammad Mamouei; Shahjahan Miah and Judit Guimera-Busquets; and researchers Ron Dennis and Kamal Pal from Engineering and Computer Science respectively. A British statistician and transport researcher. He proposed Smeed's law which correlated traffic fatalities to traffic density and predicted that the average speed of traffic in central London would always be nine miles per hour without other disincentives, given that this was the minimum speed that people will tolerate.